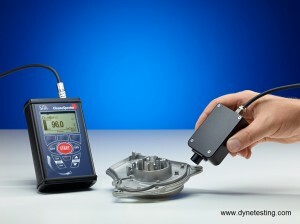 UK based Dyne Testing offer a range of test instruments & test kits to determine the contamination and cleanliness levels of various material surfaces and liquids. In many industries it is essential that the level of contaminants on a surface is measured prior to application of coatings to ensure the quality of the coating will perform at optimum level. Surface contamination from salts such as chlorides, sulphates and nitrates has been shown to lead to blistering of organic coatings particularly in immersion conditions. Monitoring and recording the level of contaminants prior to applying any number of layers of coating will ensure the quality of the coating achieves its optimum lifetime. Many customers in industries such as automotive, aerospace, construction, engineering etc., use the SITA CleanoSpector which detects the cleanliness of metal surfaces during manufacturing cleaning processes. Our Dyne Test Fluids can also be used to test metal products for surface cleanliness and evaluating the characteristics of their products. The surface energy of metals is much higher than that of most surface contaminants thus, the higher the Dyne level or surface energy (mN/m) also the cleaner the part is. Dyne Testing also offers the SITA ConSpector, an in-line test instrument for monitoring and controlling the contamination level of liquids used in industrial wash machines and rinsing baths during the industrial cleaning process. ConSpector Cleanliness test instrument for detecting oils, grease and cooling lubricants in industrial wash machines and rinsing baths. 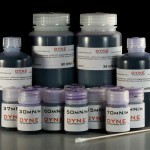 Dyne Test Inks ideal & quick for testing cleanliness of metals prior to coating application. Bresle Test Kit, To help to prevent coating failure due to salts such as chlorides and sulphates contaminating the surface prior to the coating application. 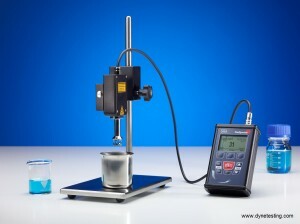 CleanoSpector Cleanliness test instrument for measuring oil, grease and cleaning fluid contamination on metal surfaces. 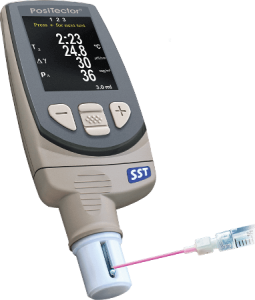 PosiTector SST Soluble Salt Contamination Meter Equivalent to the Bresle patch method with magnetic ring for ease of use & reusable patches. 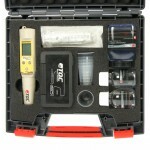 Magnetic Salt Contamination Meter Fully automated soluble salt meter for establishing salt contamination. Very similar to the Bresle method. 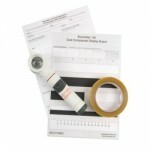 Dust Tape Test Kit for assessing quality & size of dust particles on surfaces prior to painting CSN Chloride, Sulphate and Nitrate Kit Designed to accurately, measure surface chloride, sulphate and nitrate ions in minutes. Our range of testing equipment are aimed at testing and measuring contaminants and surface cleanliness and include: Dyne Test Pens, Dyne Test Inks, Bresle Test Kits, Bresle Patches, PosiTector SST Soluble Salt Contamination Meter and CSN (Chloride, Sulphur and Nitrate) Kits. If you are unsure which surface cleanliness product is right for you, feel free to call our Customer Support Team for advice on tel: +44 (0)1543 411460 or email sales@dynetesting.com.